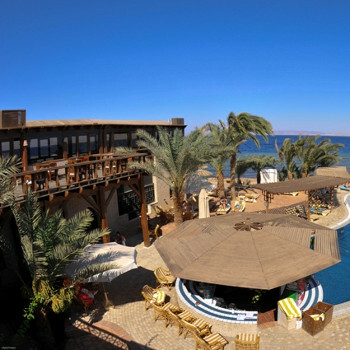 The Nesima Resort hotel is a 2 star resort located in Dahab, just 1 hours drive from Sharm el Sheikh Airport. The hotel is air conditioned throughout and offers free WiFi. Breakfast good choice and hot,beautiful view from breakfast room. Clean crisp bed linen and towells.superior room fantastic domed ceiling ,air con powerful, bathroom with bath and shower, with hot water . Location perfect ,on prom , central to all bars ,restraunts, dive clubs, etc. Hotel reception staff friendly and efficient. Salt pool (no shallow end)bar food ,great price and quality.